Today I am thrilled to feature the work of Mengly Hernandez, founder of Linea Germania. I was immediately drawn to Mengly’s patterns because of their bold scale, dramatic sense of movement, and organic line work. 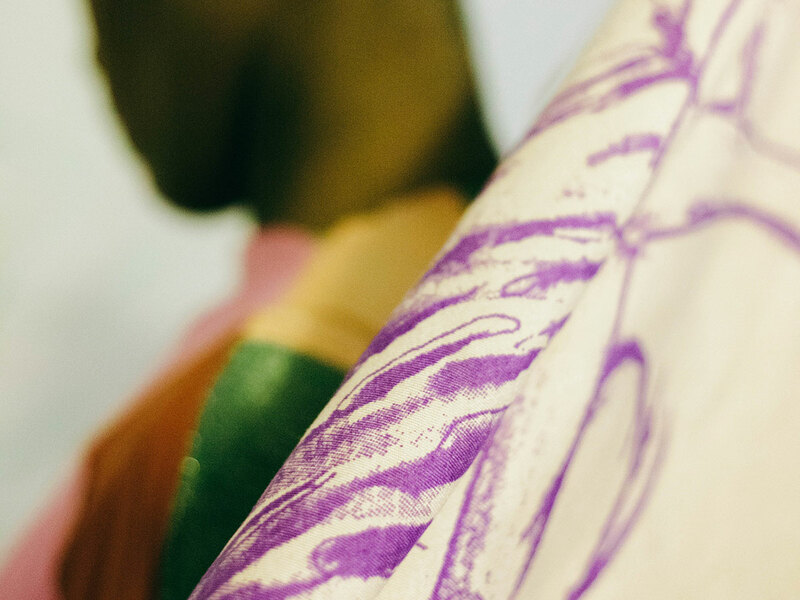 Mengly is a native New Yorker whose journey began with a silk screening class, which led to experimentation on making scarves on her living room floor. First, for herself and friends, later for customers. What started as a hobby has now grown into a business with customers worldwide. Linea Germania is carried in stores in the US, Sweden, Japan, France, and the UK. 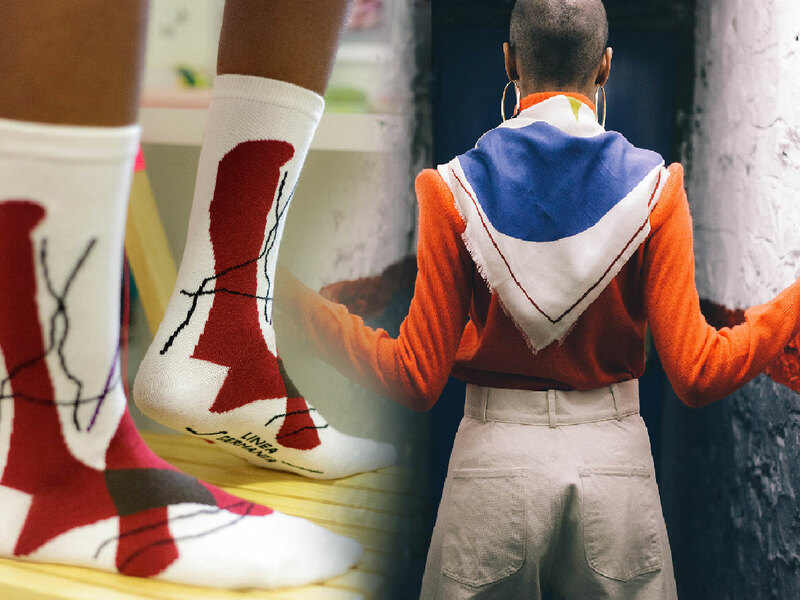 Some of the more notable shops you can find these beautiful scarves at are Steven Alan Japan, Solange Knowel’s Saint Heron Shop, and The Cooper Hewitt museum shop. The beautiful images in this post are from her latest collection “Daydreaming in Present.” You can also view additional work from Mengly Hernandez at www.lineagermania.com.